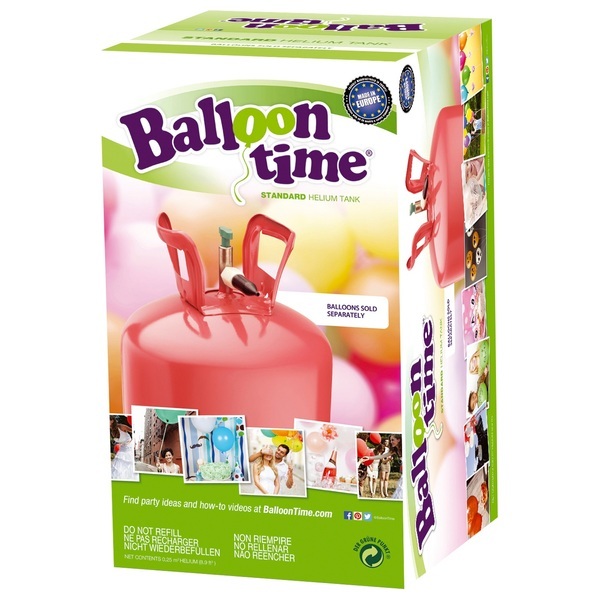 Perfect for birthdays, graduations, communions, weddings, baby showers, game day, school events, fundraisers and more, the Balloon Time Helium Canister gives you the convenience of filling balloons anytime, anywhere to instantly transform an everyday space into a celebration. Use helium-filled balloons to create bouquets, centrepieces, party favours, arches, columns, photo backdrops, launches and more. Make a statement at your next party with Balloon Time.